Rutgers University Faculty Advancement and Institutional Re-imagination (RU FAIR) was a five-year program (2008-2013) funded by a grant from the National Science Foundation (NSF)'s ADVANCE program (Award: HRD-0810978) designed to increase the participation and advancement of women in academic science and engineering careers by changing institutional culture and practices. Through RU FAIR, our office examined institutional policies and practices that disadvantage women and worked to improve the academic career trajectory of women through a long-term, systemic approach to institutional transformation. <oreover, during its five years tenure, this grassroots program and its initiative across Rutgers helped to inform the direction of SciWomen as it has evolved as an offce and continues to act as touchstone as we look to our future. RU FAIR ADVANCE built upon the strong foundation of the university’s efforts to address issues of diversity and equity through the implementation of several meta and support initiatives to increase the retention, recruitment, and promotion of women in science, social science, technology, engineering, and mathematics (STEM) disciplines at Rutgers University. The goal of the RU FAIR program was to remove barriers to recruitment and retention of women faculty, to advocate for greater diversity in senior leadership positions and to provide higher visibility for the achievements of Rutgers’ women faculty in STEM disciplines. Read the full RU FAIR ADVANCE proposal. 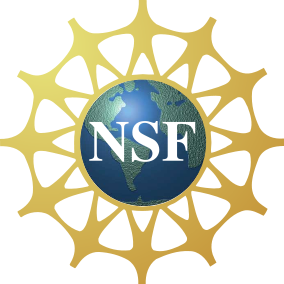 Read more about RU FAIR ADVANCE program in our reports to NSF. See the RU FAIR ADVANCE Leadership and Advisors, those who helped to govern and shape the program.